Shogun Services has completed countless HVAC repair jobs throughout Central Virginia. If you’re not sure your furnace will keep you and your family warm during the cold Virginia winters, Shogun Services is the team to call. Our expert technicians can fix any issue, whether your furnace is out after a heavy snow or ice storm, or you’re having trouble with an older model, you can trust Shogun Services to complete your HVAC repair. In addition to the HVAC repair, Shogun Services will optimize your furnace and heating system to make sure it is operating at peak performance to brace for the volatile Central Virginia weather. We have experience working with furnaces and heating systems of every make and model and can fix even the most stubborn of problems. If your furnace or heating unit is breaking down, the problem could be the result a number of issues. If you notice your thermostat is not reading the right temperature, it could be an electrical issue. If you’re noticing no air blowing, or air blowing that is not the right temperature, it could be a problem with the fan, fan motor, or the belts. 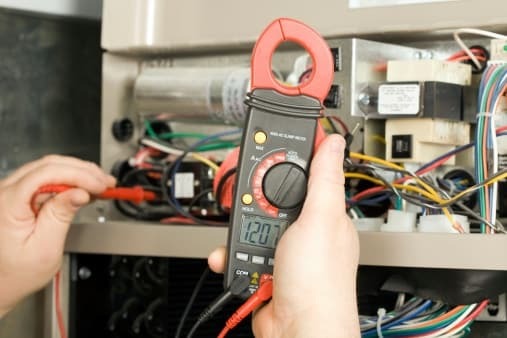 You can always trust Shogun Services to identify the issue and make a speedy and safe HVAC repair. Whether it is a complex heating system repair or just some routine maintenance to make sure you’re prepared for Central Virginia winters, Shogun Services will be there to answer the call. Remember, the Shogun Services team is available 24/7 for any emergency repair. Don’t let a carbon monoxide leak lead to a disaster or health problems for you and your family, give us a call right away and we’ll get you taken care of.